Such the strong suggestion of Machiavelli that such as a state of Genoa should succumb to the rule of a financial institution called the Casa di San Giorgio – the Lingurian city’s premier financial institution that some even called as the first modern bank. In a politically dysfunctional but economically prosperous Genoa, the Casa di San Giorgio or the House of St. George took its roots. Genoa boasted a flourishing trading industry where Genoese merchants travelled across the Mediterranean and the Black Sea buying goods from one port and selling to another. Its mercantile activity brought riches to many Genoese who then reinvested their money on trading ventures through commercial contracts. However, while the economy boomed, the political scene of Genoa saw nothing but infighting between influential families like the Grimaldis (rulers of Monaco today), Dorias, and Spinolas among others. The country experienced different types of rule, from Communes, to Doges, to Captains of the People, and Podestas or a foreign city administrators). But the same oligarchy of aristocratic and prominent mercantile families remained on the top. By the late 13th century, the political division resulted to Genoa under-performing. In 1298, when the Genoese fleet triumphed over their rival Venetians, but domestic dispute in Genoa prevented the victorious admirals from capitalizing in their victory. The 1298 Battle of Curzola marked the pinnacle of Genoese power, but back in home war debts soared and pained the city’s government. To solve the debt to various creditors, mostly wealthy nobles and merchants of the city, the Genoese government decided to establish the Casa di San Giorgio or House of St. George. The Genoese government tasked the early Casa di San Giorgio to consolidate the city’s debts. It sold government debt by selling promissory notes that provided its holder an income from revenues on customs duties and taxes collected on consumption goods such as salt. For the next hundred years, the Casa operated through the selling of promissory notes to many merchants. A century later, Genoa faced a financial crisis brought by its defeat in a war against Venice. The 1380 Battle of Chioggia marked the Genoa’s decline in its rivalry with Venice. Decades after the debacle, debts brought by the conflict once again plagued the city’s treasury. The Casa continued to operate, but overwhelmed. It needed reorganization. In 1407, Casa di San Giorgio reorganized and formed the Casa delle Compere e dei Banchi di San Giorgio or simply as Banca di San Giorgio. 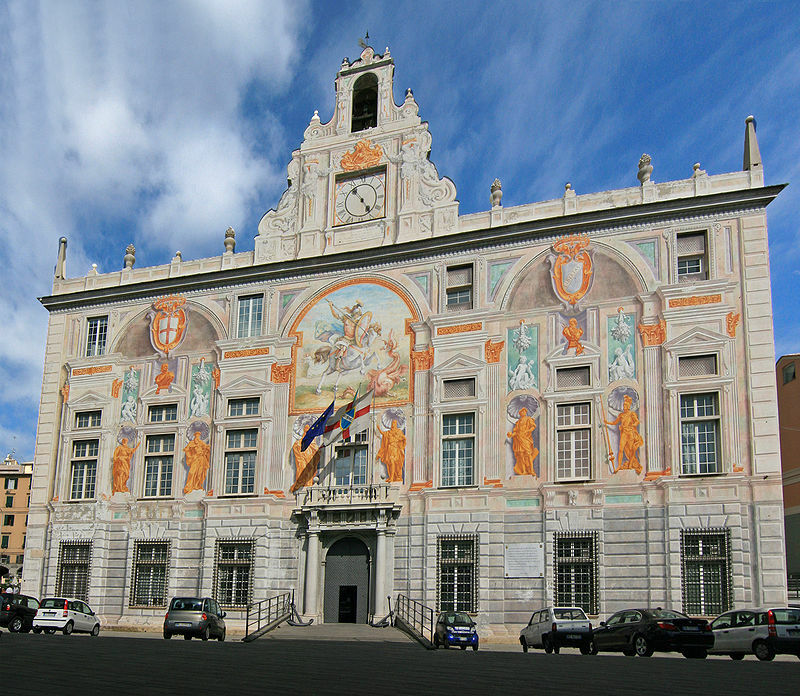 The wealthiest families of Genoa sponsored the reorganization and the new institution set up its headquarters in a palace in the Piazza Caricamento. The 4 different bodies formed the organizational structure of the Bank: 1) Protettori (Protectors); 2) Procuratori (Procurators); 3) Magistrato del Sale (Salt Magistracy); 4) General Council. Each council served a purpose with the Protettori in charge of overall administration, the Procuratori tasked with managing the bank’s tax collection, and Magistrato del Sale responsible for the salt monopoly – a privilege given to the bank by the Genoese government. Lastly, the General council served as the bank’s shareholders meeting called by the protettori and had the power to approve or disapprove proposals of the protettori. The executive officers of the Banco included 1 sindico or controller and 3 chancellors. The San Giorgio utilized lotteries in electing the members of the 3 council, which also cost enormously. First 3 councils composed of 8 members with each having an annual term with 4 ending their terms for every 6 months. The requirement in being a member included an age minimum of 30 and had the capability to deposit in the bank an amount of 16,000 lire, which amounted to 275,000 Euro today. This requirement later raised to 40,000 in 1634. In addition, a member must name a guarantor who would pay an additional amount of 90,000. Thus, only the wealthiest and the elite met the required deposit amounts and the oligarchs dominated the institution. San Giorgio’s operation expanded beyond selling the city’s debts. Off course, it did continue to manage debt repayment through creation of sinking funds. By this time, the Bank created a sophisticated means of selling public debt. They divided the debt into sections called monti and each divided further to luoghi that were shares sold to the Genoese for a collection of portion of tax revenues. The amount of luoghi dictated the percentage of amount of tax revenue that a holder received. The Banco borrowed from merchants, similar to bonds, with a return of 7%. But the Banco di San Giorgio also provided short-loans and investments to merchants. A great example of this was in the late 15th century when Chancellor Antonio Gallo helped to find investors for the 1492 voyage of Christopher Colombus to the New World. In 1408, the Banco di San Giorgio expanded to become a deposit bank. But undercapitalization in 1444 forced it to shut down. The deposit services of the Banco returned in 1530 and sustained it this time until 1805. Thus, they also began to use the double-entry system to give an accurate picture of how much money came in and how much came out. Part of the Banco’s prestige and influence came to its power to collect taxes and customs which financed the payment of debts and interest payments to luoghi holders and merchants. The taxes they collected remained to cover customs, consumption taxes, most especially on salt. Besides taxes, another main source of income for the Banco came from lotteries. 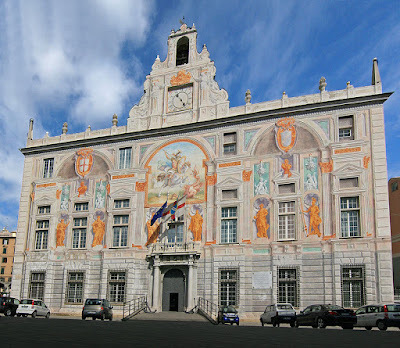 Moreover, San Giogrio did not just had concession to collect taxes, they also received the privilege of managing the overseas lands and cities under Genoa’s dominion. A price to pay in exchange for money in 1446 when the Genoese government handed over Pietrasanta to the Banco’s administration. Soon the San Giorgio’s domains covered Corsica, Southern Crimea, Famagusta, and Caffa. The institution very much commanded the whole of Genoa’s overseas territories leaving only some like the Chios, managed by a mahona or a private consortium. 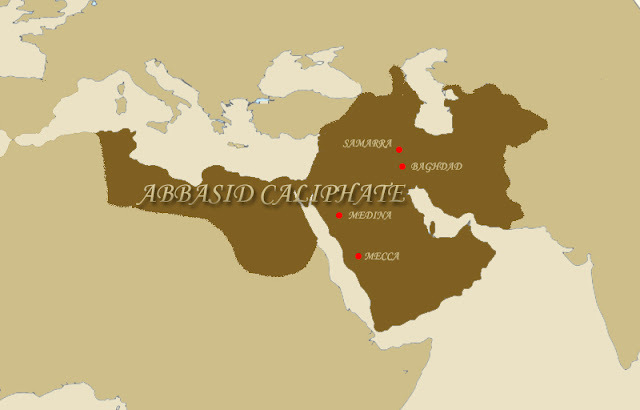 With management of territories came the need for a police or military force. The Genoese government gave the Banco the right as well to raise an army and hire mercenaries. An ancestor of Napoleon, Francesco Bonaparte, served as a soldier in the Banco di San Giorgio’s army. Even though Genoa fell from grace as a great power, the Banco di San Giorgio continued to operate further. It enjoyed great prestige during the heydays of Genoa’s status as Spain’s client state and bank. But as Spain sank, so too Genoa and its Banco. Finally, in 1805 when Napoleon Bonaparte invaded most of Europe and centralized banking under his newly established Bank of France, the Banco was forced to seize its operation in 1805. The Casa di San Giorgio came a long way and boasted a long history of banking operations. Some scholars even called the first modern bank, predating the Bank of England established on 1695. It also preceded the British East India Company as a private enterprise that administered territory, collected taxes, and raised armies. Indeed, so much the Casa had garnered power, influence, and wealth that Machiavelli praised its administration. Blockmans, Wim et. al. (eds.). The Routledge Handbook of Maritime Trade Around Europe, 1300-1600. New York, New York: Routledge, 2017. Kirk, Thomas Allison. Genoa and the Sea: Policy and Power in an Early Modern Maritime Republic, 1559-1684. Baltimore, Maryland: The John Hopkins University Press, 2013. Snodgrass, Mary Ellen. Coins and Currency: A Historical Encyclopedia. Jefferson, North Carolina: McFarland & Company, Inc., 2003.